An Australian man wanted to get rid of a huge spider in his house, too afraid of picking it up he decided to hit it with a broom stick. Little did he know it was a Wolf Spider and they carry thousands of babies inside them. 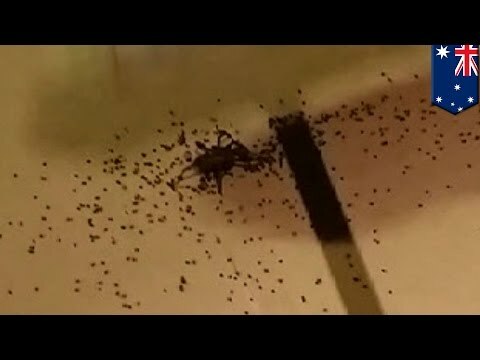 When he hit the Wolf Spider, thousands of baby spiders poured out in every direction making the situation even worse then before. So the next time you see a Wolf Spider this size, make other arrangements than hitting it.